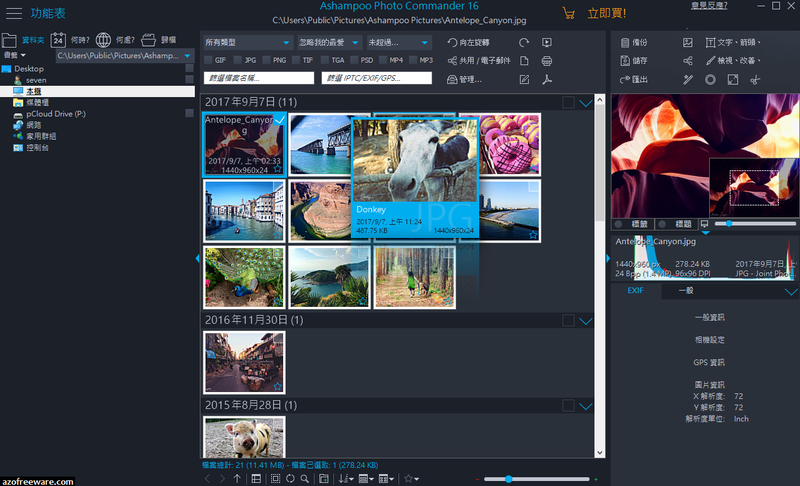 Ashampoo Photo Commander - the ultimate in photo management. 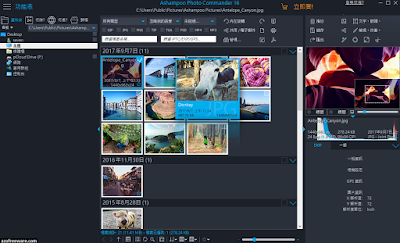 Effortlessly browse through large photo collections and remove annoying image defects on the fly. Optimize color and contrast settings and make your photos shine. Get creative and bring your photos to life with professional image effects and surprise your friends with self-made calendars, collages and greeting cards.